Hand-decorated christening candles according to your specifications. 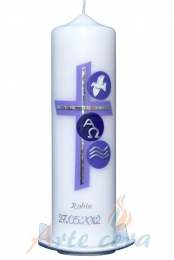 Each baptismal candle is only manufactured to order from us. You can always change requests or comment.